We hit some huge milestones and are celebrating today! Thank you for over 200,000 subscribers on Youtube and over 3,000,000 fans on Facebook. It is such a big deal to us and we are truly thankful for each and every one of you who subscribe, try our recipes and share them with the people you love. 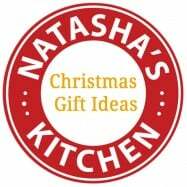 Thank you for being part of the Natasha’s Kitchen family. To celebrate, we are giving away this Zwilling J.A. 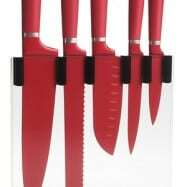 Henckels Aurora 10-piece cookware set. 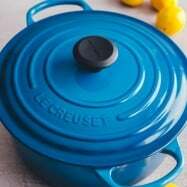 It is fantastic in how it looks, cooks and feels in your hands – high quality and practical (That stock pot and baby saucepan are 😍 – read why below). I’m so excited that one of you, my amazing readers, will win this 10-piece set (a $975 retail value). Big thank you to Zwilling J.A. Henckels who sponsored this generous giveaway. Some of our very favorite cooking tools are from Zwilling J.A. Henckels. It is a German company and these are Belgian made so the standard of quality is top notch. 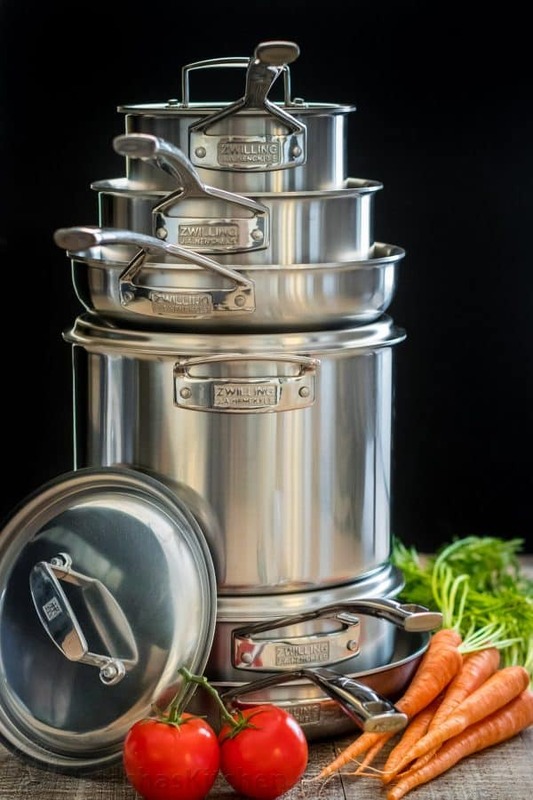 The Aurora line is constructed with a fully clad 5-layer stainless steel and has an aluminum core for quick and even heat conduction (this is exactly why I always recommend cooking in a pan or pot with a “heavy bottom” – they deliver more consistent cooking results. That stockpot though is just the most ideal size for big batches of soups, stews, chili, corn on the cob or potatoes for big parties, chicken bone broth, preserves – it’s a wonderfully useful size. The small saucepans are probably the items I use most for quick reheats of soups, making sauces, boiling eggs, and a million other things. The pans are lovely for quick searing and sautéing. I found an excellent tutorial on how to season stainless steel here. 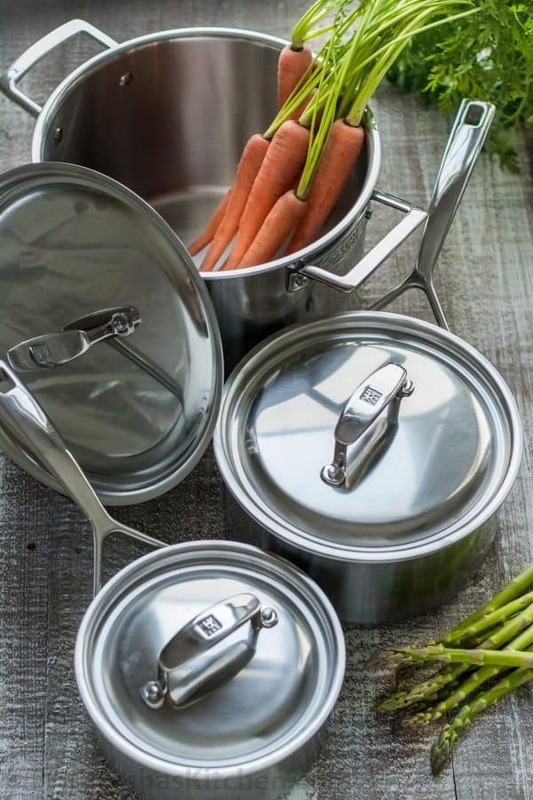 It’s so simple but will keep your food from sticking to stainless steel surfaces. The sleek handles feel good in your hands and make every meal feel like gourmet cooking, plus they stay cool to the touch to keep your hands safe. My favorite pan is the 3-qt sauté pan with lid because it is deep and perfect for tossing together pastas and making one-pan meals. And the Winner is: Mia W. Congratulations!! To enter, please use the rafflecopter widget below. 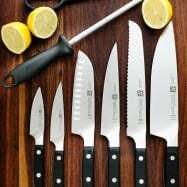 This giveaway was sponsored by Zwilling J.A. Henckels. The Prize: One of our readers will win a Zwilling J.A. Henckels 10-piece Cookware set valued at $975. P.S. 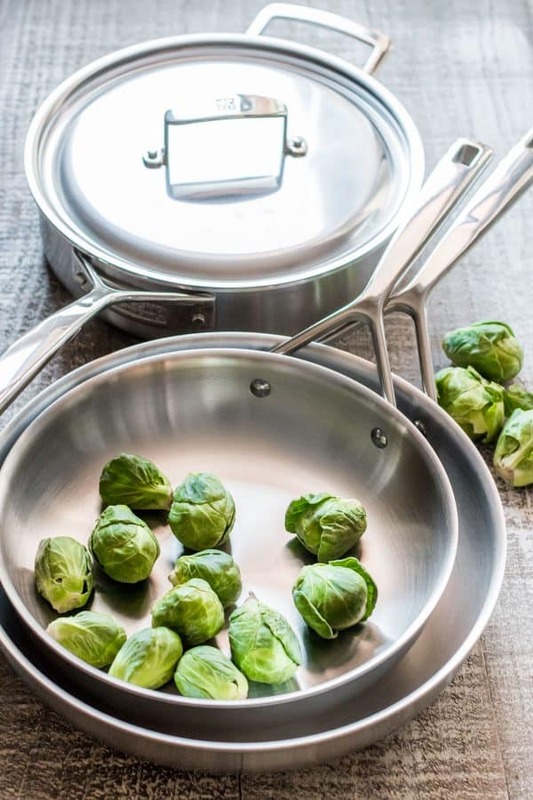 We spotted this cookware set on sale at Bed Bath and Beyond for $599 with free shipping! 1 MILLION Thanks for 1,000,000 fans + Huge Giveaway! I love to cook and have cooked for many years however I find these Recipes refreshing, simple and yet tasty. 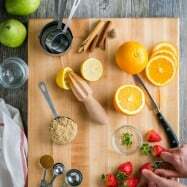 Recipes are personable and a pleasure to read or listen to. Natasha, This is such a generous give away! Such great quality set! We enjoy a lot all delicious recipes you post, having a ukranian husband, your site is gold for me, thank you! I love this set!!! I hope I win it. If I win I’ll send you my US address. I’d love to win because I’m getting married in less than two months & I need stuff for our kitchen!! Natasha, I’ve been following you for about 6 years now. You are my go-to person for basically any recipie. I’m so honored to see you grow. May God bless you in your future endeavors! Love your blog and use your recipes all the time!! Make meal plans while looking at your recipes…I have teen girls who also are your fans and they do good job following your recipes!! You’re awesome!! NATASHA, you are so jenerous!